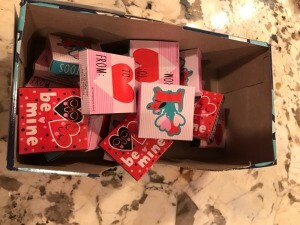 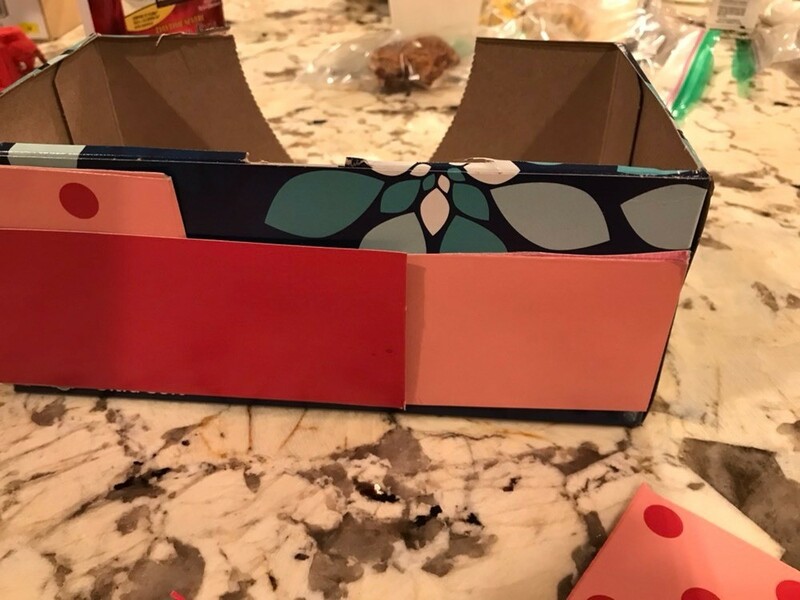 To carry all of my toddler's Valentine's Day gifts for his classmates (rocketship gift and Valentine's Day tattoo box) we used a tissue box and salvaged part of the Valentine's Day tattoo box. 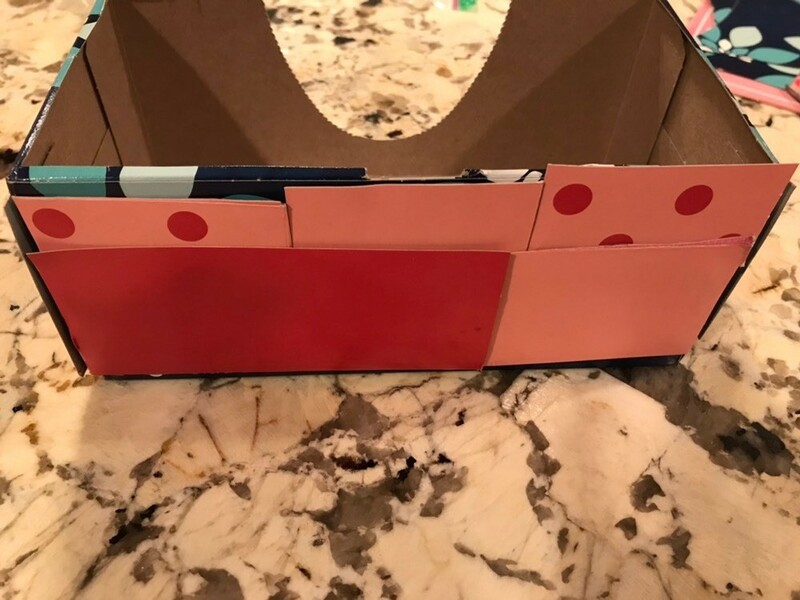 This is kid friendly size box so they can easily carry it and he said he'll be using the box to transport all his gifts he receives from his classmates home too! 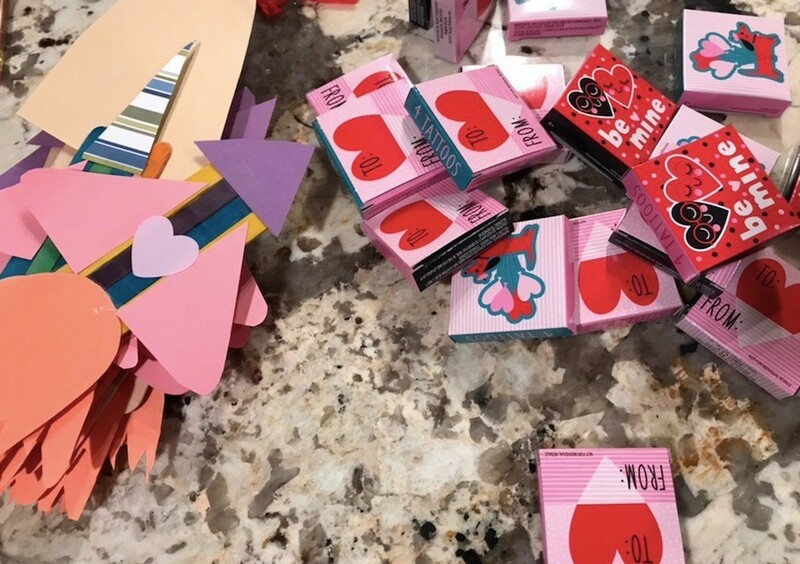 Editor's Note: Although this post did not get up prior to Valentine's Day we still wanted to share it. 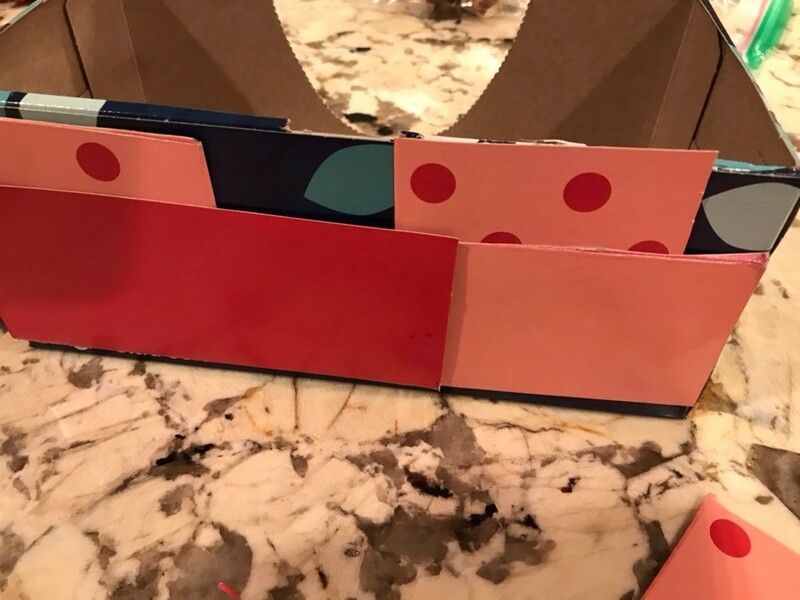 The concept can be easily used to create a useful box for your child to take other items to school for other events and parties. 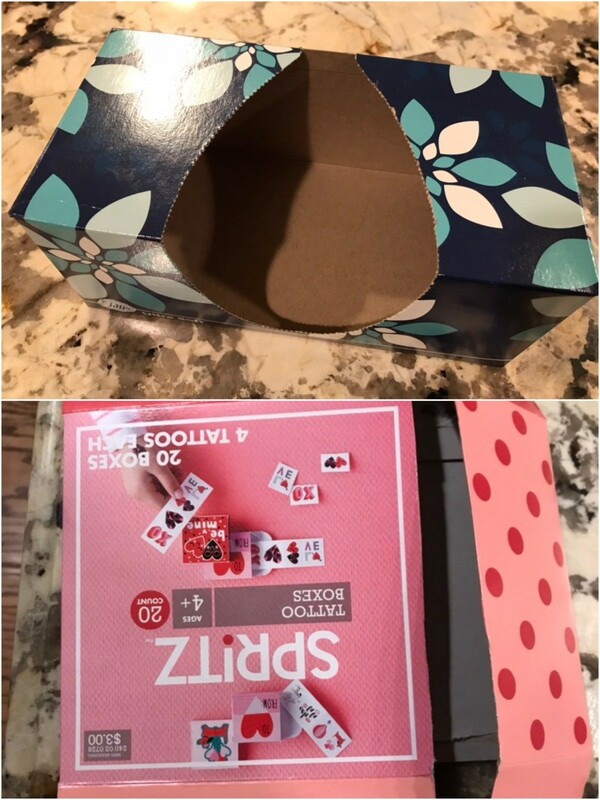 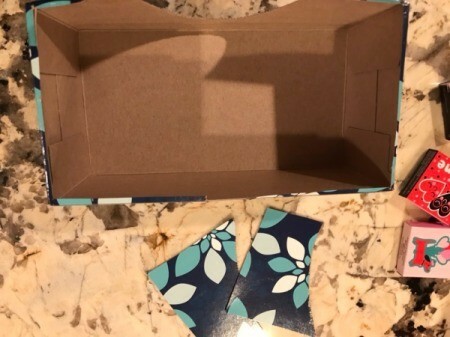 Cut the top flap off the tissue box. 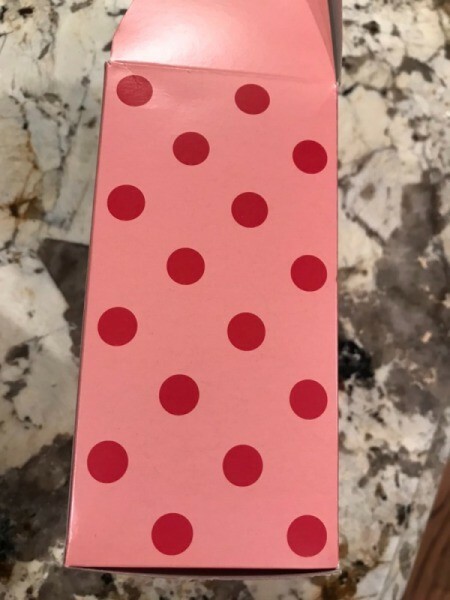 I salvaged parts of the polka dots and plain pink to patch (glue) onto box. 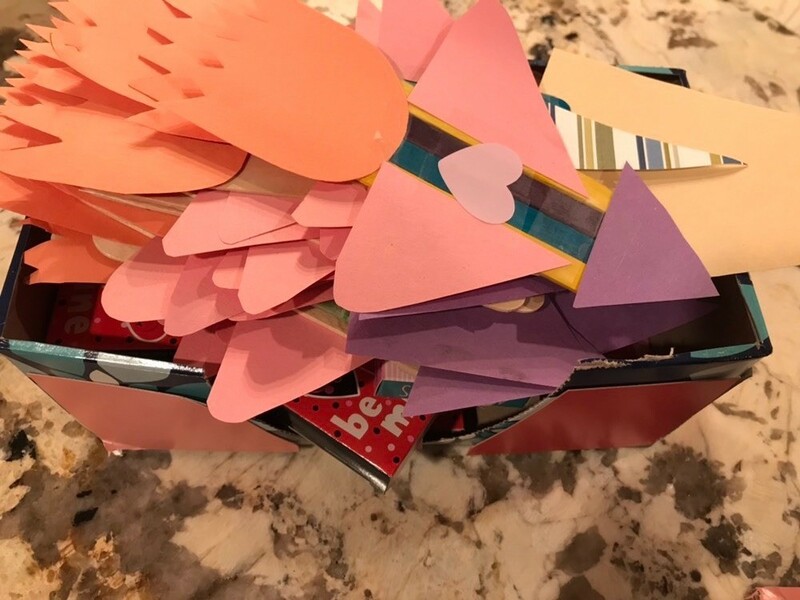 Then with the assorted cuttings, create patchwork and glue down. 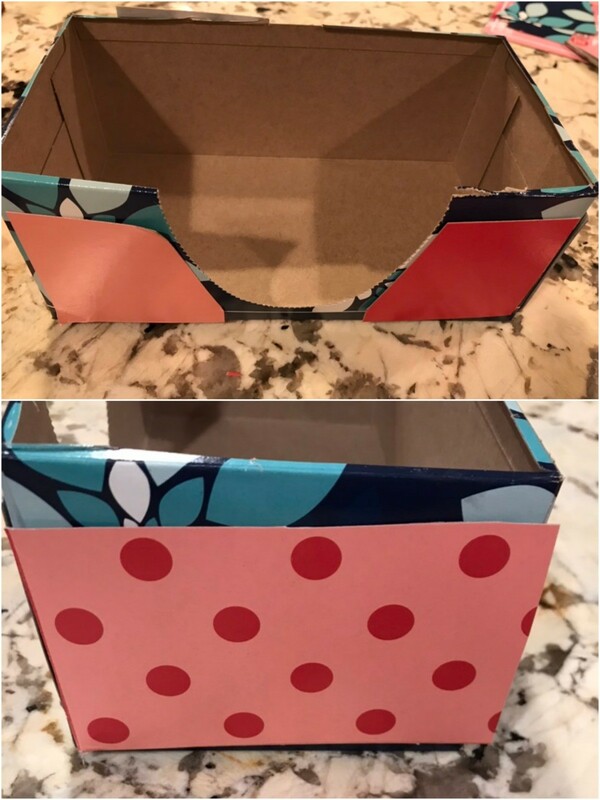 Ready to fill with your gifts and use as a box/basket.